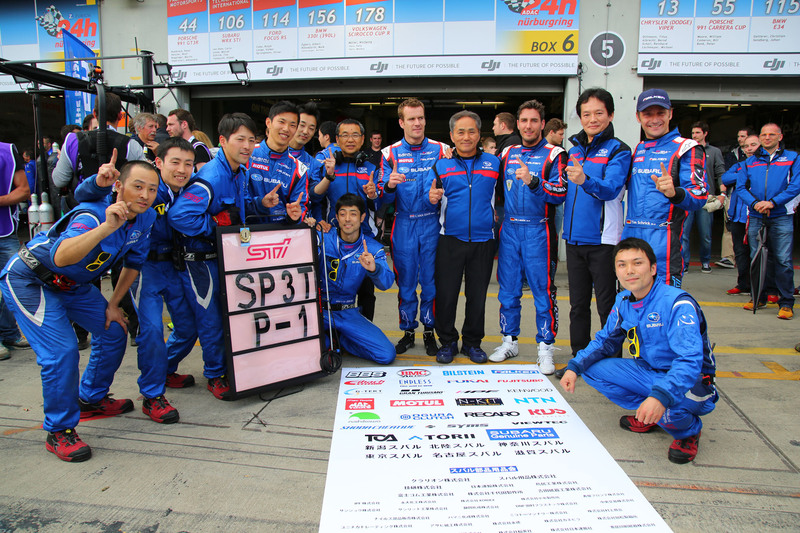 Tokyo, May 30, 2016 – Fuji Heavy Industries Ltd. (FHI), the maker of Subaru automobiles, is pleased to announce that Subaru Tecnica International (STI)*1 took the SP3T class*2 win in the 2016 Nürburgring 24-Hour Race held in Germany from May 26 to 29, with the “Subaru WRX STI NBR Challenge 2016”, a racing car developed based on a WRX STI mass-production model. After the team*3 started the final from the 2nd position earned in qualifying, they took over the lead with sophisticated teamwork. Driven by Carlo van Dam (Netherlands), Marcel Lasée (Germany), Tim Schrick (Germany) and Hideki Yamauchi (Japan), the WRX STI completed 121 laps (approx. 3,070km) in 24 hours and claimed a class win. STI has competed in the Nürburgring 24-Hour Race for 9 consecutive years. 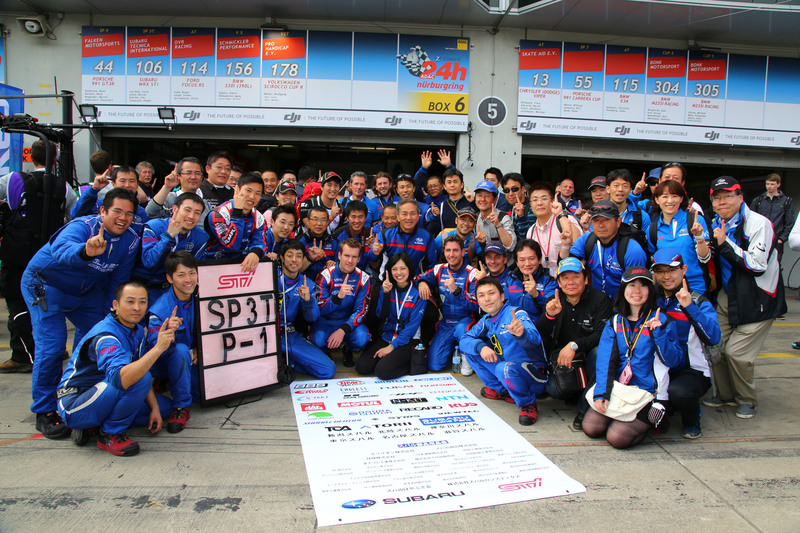 This marks the 4th win in the SP3T class for STI following its victory in 2015 race. 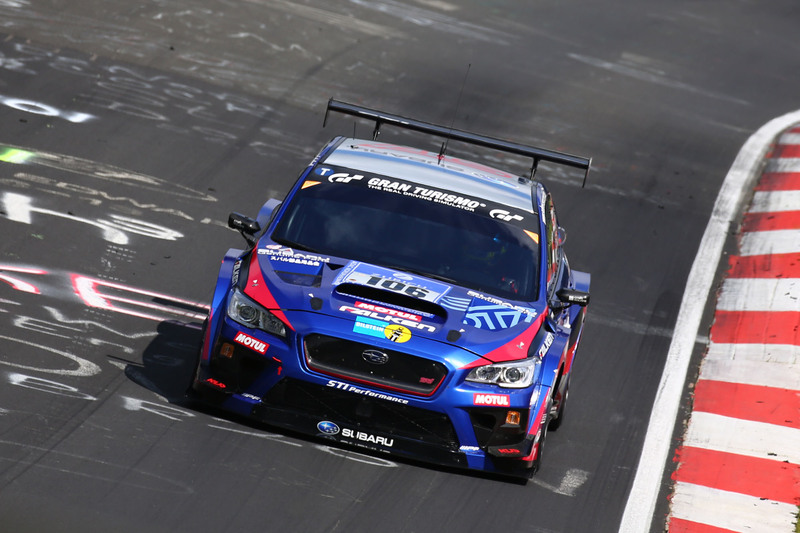 The victory is a testament that the Subaru WRX STI is capable of fully exerting its AWD (All-Wheel Drive) sports performance on circuits such as the Nürburgring which is one of the most challenging and dangerous tracks in the world that is open to the public. Through its motorsports activities, FHI and STI will continue to pursue engineering excellence to assure “Enjoyment and Peace of Mind” to customers worldwide. *1: Subaru Tecnica International Inc. (STI): President Yoshio Hirakawa; Located in Mitaka, Tokyo,the company manages motorsport activities of Subaru.